Cole Masten. Abandoned by his superstar wife, Hollywood’s Perfect Husband is now Hollywood’s Sexiest Bachelor: partying hard and screwing even harder. Watch out Los Angeles, there's a new bad boy in town. Summer Jenkins. That’s me, a small town girl stuck in Quincy, Georgia. I cook some mean chicken and dumplins, can bluff a grown man out of his savings in poker, and was voted Most Friendly my senior year. We were from different worlds. Our lives shouldn’t have collided. But then Cole Masten read a book about my small town. And six months later, his jet landed on our dusty airstrip, and he brought Hollywood with him. Sometimes, opposites just aren’t meant to attract. 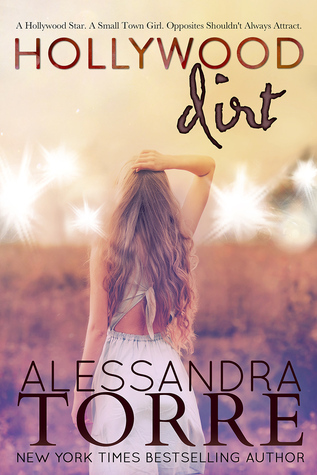 Alessandra is one of my favorite authors and I highly recommend you read this book! ARC provided for honest review.